Since 1980, La Valley Backhoe LLC has been your leading family owned and operated underground utility contractor, excavation service, sewer service and backhoe contractor in the greater Renton, WA area. We are always focused on bringing excellent and reliable service to our valued customers. 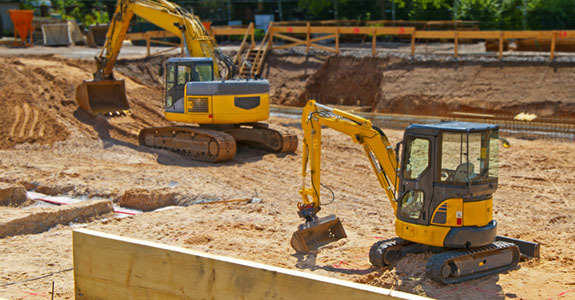 Whether you are a construction business looking for assistance with excavation in Renton, WA, a homeowner looking to install a new sewer system or a business owner wanting to redo your driveway, you need a contractor that will give you exceptional work without going over budget. For over 35 years now, La Valley Backhoe LLC, has been that type of contractor for all of our valued customers. We are a family owned and operated small business, and we make sure that each of our customers feels like a member of the family when they work with us. We are a local, family-owned and operated small business in Renton, WA. We provide a wide range of underground utility services. Our team is fully certified and very experienced. We are proud members of both the BBB and Angie’s List. Give La Valley Backhoe LLC a call today to schedule an appointment and get your free estimate.